According to Associated Press motorsports reporter Jenna Fryer, the Delaware Department of Justice has announced today that they will not be pressing criminal charges against NASCAR driver Kurt Busch over allegations that Busch strangled and smashed ex-girlfriend Patricia Driscoll's head against a wall. The incident allegedly occurred in Busch's motorhome at Dover International Speedway, where Busch alleges that Driscoll came in uninvited. Last month, a Delaware family court ruled that it was more likely than not that Busch attacked Driscoll, and granted her a protective order against the NASCAR driver. After a thorough consideration of all of the available information about the case, it is determined that the admissible evidence and available witnesses would likely be insufficient to meet the burden of establishing beyond a reasonable doubt that Mr. Busch committed a crime during the September 26th incident. ... Likelihood of meeting that high burden of proof is the standard for prosecutors in bringing a case. For this reason, the Department of Justice will not pursue criminal charges in this case. Busch was indefinitely suspended from all NASCAR activities last month following the release of the Delaware family court's opinions in the hearings for the protective order requested by Driscoll. While Busch and many of his fans were disappointed and angry that NASCAR acted before criminal guilt could be determined, NASCAR felt as if the evidence cited in the family court's opinions was enough to act on. The NASCAR suspension wasn't the only fallout from the protective order. Chevrolet dropped their support of Busch following the suspension, and IndyCar released a preemptive statement that they were monitoring the situation. 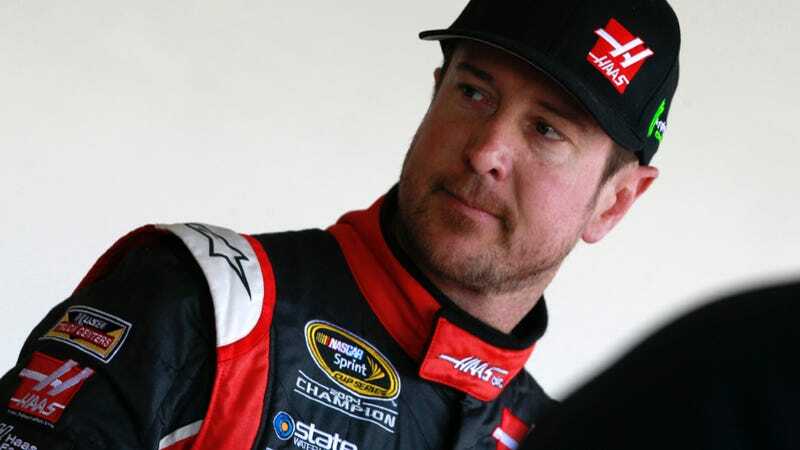 Although NASCAR denied Busch's appeal of the suspension, which focused on the fact that no criminal charges had been made, they have been working with him to set the terms and conditions Busch needs to meet for the consideration of his return to NASCAR. It is unclear as of yet whether or not this decision by the Department of Justice will have any effect on Busch's current suspension with NASCAR, or his appeal of the protective order. "We're very disappointed that the Attorney General's office chose not to prosecute, but it only makes (the protection order) that much more important," Driscoll attorney Carolyn McNeice told Delaware Online. "I understand their position, but I am disappointed." Ultimately, this highlights the two vastly different standards for evidence in civil and criminal cases. While the civil hearing only needs more evidence on one side or the other, the criminal charges would have needed to been proved beyond a reasonable doubt. Any testimony that sounded unbelievable couldn't be used in that case. It will be interesting to see if NASCAR sticks with their suspension based on the outcome of the civil hearing, or if they revise that decision based on the lack of criminal guilt. NASCAR is aware of the Delaware Department of Justice announcement today regarding driver Kurt Busch. As we disclosed Monday, he has accepted the terms and conditions of a reinstatement program and is actively participating in the program. Kurt Busch's eligibility for reinstatement will continue to be governed by that program and the NASCAR Rule Book, though the elimination of the possibility of criminal charges certainly removes a significant impediment to his reinstatement.